Representative Phil King will be introducing Senator Paxton. Come early if you would like to speak to Rep King or Sen Paxton. Paxton officially joined State Rep. Dan Branch and Railroad Commissioner Barry Smitherman in the Republican Primary for Texas Attorney General. Senator Paxton was first elected to the Texas House in 2002 and moved up to the Texas Senate last year after Sen. Florence Shapiro (R) opted not to seek re-election. 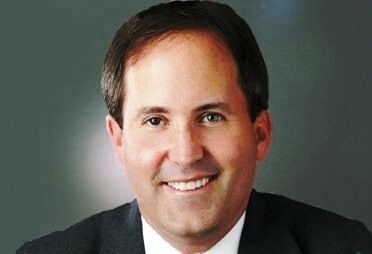 Sen. Paxton has pledged to be an obstructionist who wouldn’t waste Texan’s tax payer dollars. In his announcement, Sen. Paxton said, “You’re going to hear lots of speeches, lots of promises to stand firm against Washington … The difference is that not only do I mean it, I have a record to prove it.” Paxton has a record of not working well with the governing majority in the Texas Legislature. In 2010, then Rep. Paxton challenged Speaker Joe Straus for the right to lead the lower chamber because he believed the Speaker who would go on to slash funding for education and women’s health programs in addition to passing the mandatory sonogram bill was not conservative enough. Join us for an informal meeting where you can ask questions and learn more about Senator Paxton. See you there! ” It is not true that the legislator has an absolute power over our persons and our property since they pre-exist him, and his task is to surround them with guarantees. It is not true that the function of the law is to regulate our consciences, our ideas, our wills, our education, our opinions, our work, our trade, our talents, our recreation. Its function is to prevent the rights of one person from interfering with rights of another in any of these matters.